The Topbox Mini is the next revelutionary edition to the Subox Mini. This device will satisfy both advanced and new users with temperature control and top-fill features. With the Topbox Mini you can utilize Titanium coils along with Nickel, Stainless and standard. The Topbox Mini has a working power range of 7 to 75 watts. You can utilize tanks and RDA's with resistances ranging from .1 ohms (or higher) for temperature control and 0.15 to 3.5 ohms for variable wattage mode. Temperature control conserves on both battery power and eliquid. Variable voltage and wattage is used for standard coils. 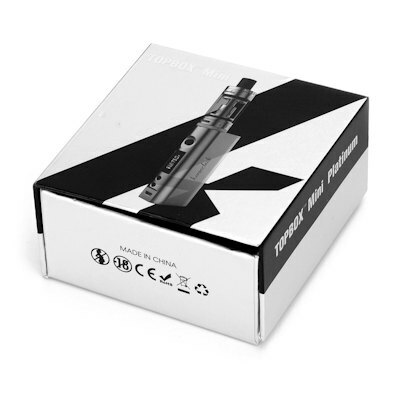 The Topbox Mini Platinum Edition starter kit includes an RBA Mini system that allows for personalized vaping preferences and building coils. 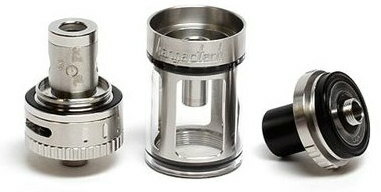 The included Toptank Mini is an upgraded version of the Subtank Mini. The Toptank Mini now offers a top filling option for easy ejuice refills! The Toptank Mini uses SSOCC coils which can be found here. The tank will hold 4ml of eliquid and has adjustable airflow. This kit comes complete with a 30ml bottle of ejuice!